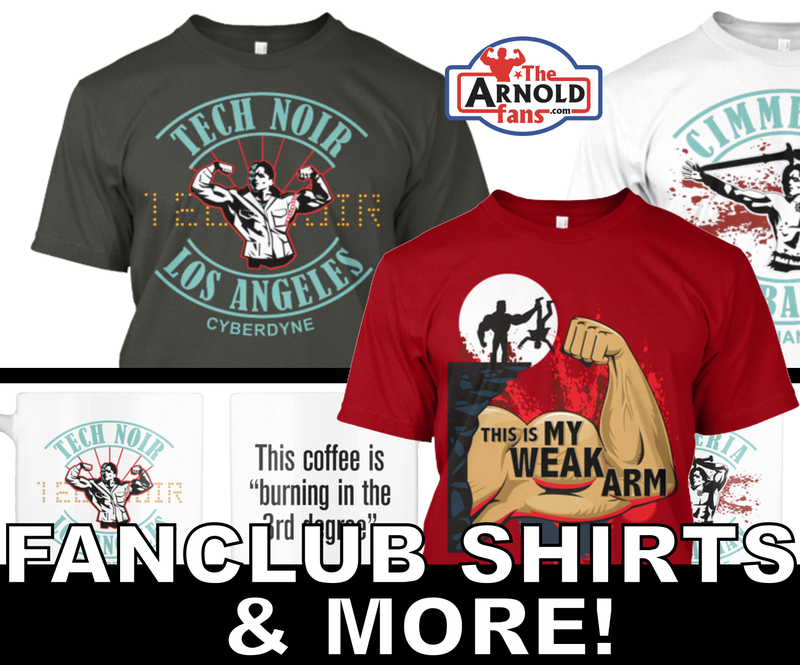 TheArnoldFans - News - Schwarzenegger's Seven Decades of Unbelievable Achievements! Schwarzenegger's Seven Decades of Unbelievable Achievements! Who could have ever imagined that Arnold Schwarzenegger, a terminating, iron-pumping, environmentalist, would turn seventy years old! With great passion for all he does, how does he even have time to fit in a birthday? This mommentus occasion must have really crept up on the action hero considering he’s been so busy with his fitness crusades, gerrymandering battles, climate change struggles, After-School All-Star love and five upcoming movies (including The Legend of Conan). To celebrate Arnold’s birthday, I bring to you, Schwarzenegger's Seven Decades of Unbelievable Achievements! I’m not listing every accomplishment ( as that would take forever ), just a list of how Arnold Schwarzenegger GAVE BACK to the people and entertained us or enriched our lives. If I forgot any, or if you’d like to lease Arnold a birthday message, please add to the comments below. Born of July 30, 1947, Arnold brought great joy to his brother Meinhard and his parents, Gustav and Aurelia Schwarzenegger. Arnold began to play soccer and strengthened friendships with the local villagers, some of which he keeps in touch with today. Arnold provided hot beach-goes ice creme. Sure he over-charged for the cold treats, but he knew he would make for a good businessman. At age 14, Arnold, inspired by Hercules film legends, fell in love with the sport of bodybuilding and began his training. At such an early age, Arnold inspired others around him, even though his parents thought he was gay for having male bodybuilding posters on his walls. At age 18, the Austrian army gained a clumsy tank driver but also an AWOL bodybuilding trophy winner! The Austrian army was now proud of their champion and Schwarzenegger helped boost moral amongst the troops. By the time of his mid twenties, every bodybuilder knew the name Schwarzenegger. Arnold gave bodybuilding fans maximum entertainment as he posed off against his competitors and childhood idols while sweeping grand prizes. After Pumping Iron was released, "The Oak" put Muscle Beach on the map, which continues to boost the local economy of Venice, CA. The bodybuilding champion inspired a national fitness and bodynuilding craze. People went from scrawny or fat to fantastically fit. While Arnold went to college to further his business degree, business in gyms was booming! In his late twenties, Arnold won a Golden Globe Award for "Best Acting Debut in a Motion Picture. People stayed hungry for more Arnold and learned of new training tips in the book: Arnold: The Education of a Bodybuilder. In 1979, Schwarzenegger graduated from the University of Wisconsin-Superior with a major in international marketing of fitness and business administration. He began purchasing many real estate properties and continued to build an empire. During this time, AHNULD, the action hero was born! Fans now knew the name ARNOLD worldwide, thanks to Schwarzenegger starring in 1980’s greatest films including Conan the Barbarian, The Terminator, The Running Man, Twins and Predator. In addition to the films, Arnold provided the world with a plethora of one-liners which are still used in people’s everyday conversations. During filming of Predator, Arnold married Maria and soon after several fantastic children were born. Even Arnold’s offspring continue his teachings of positivity and philanthropy. Arnold the author also released his long awaited book: The Encyclopedia of Bodybuilding, the bible for fitness fans. Arnold followers were growing and fitness and muscles were on a serious rise. Now retired from competing in bodybuilding, Arnold proved he’d never step away from the sport by opening The Arnold Classic in Columbus, Ohio, massively boosting the local economy, boosting prize money for the athletes and boosting awareness of bodybuilding. Arnold’s next stage in his film career kicked off with Total recall, Kindergarten Cop and Terminator 2. Arnold gave the people exactly what we wanted. More highly-entertaining films including Last Action Hero, True Lies and Eraser soon followed. Schwarzenegger provided thousands with jobs for his films and his movies contributed to billions of dollars to Hollywood. Arnold was voted "International Star of the Decade" by the National Association of Theatre Owners. He even treated enthusiastic amusement park fans to one of the greatest attractions ever: T2: 3D! The fans stayed hungry for more so Arnold got into the restaurant business and opened Schatzi on Main and backed Planet Hollywood restaurants. Here, movie fans could eat some outstanding Captain Crunch Chicken of his mother’s recipe for Apple Strudel. In 1990, Schwarzenegger was appointment Chairman of the President's Council on Physical Fitness and Sports where he lead a national fitness crusade and put an end to flabalanche bellies, junk food at schools and terminated couch potatoes! Arnold continued to give back to the fitness community but this time he helped a different community of athletes; Arnold lifted spirits and gave great awareness to the Special Olympics. Arnold’s favorite charity to give back to the people was the Inner City Games, which builds self-esteem and confidence while keeping the youth off the streets and away from gangs, drugs and violence. Right after he gave the people a third Terminator film, Schwarzenegger stepped away from movies and decided to do more for the people. On November 17, 2003, Arnold was sworn in as Governor of California in a special recall election of then governor Gray Davis. 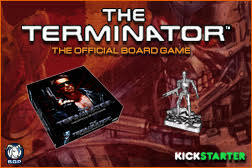 The "Governator," as Schwarzenegger came to be called, helped pass several fantastic propositions and his greatest achievement was passing a climate law which would significantly reduce pollution emissions. While on a short vacation to Hawaii, Arnold saved a man's life in 2004 by swimming into the sea to rescue him from drowning. During the holidays, Arnold would be especially busy as he loved to give back to those in need. Every year Arnold and his family would donate turkeys at Thanksgiving time and would give out toys during Christmas at the Hollenbeck Youth Center. Arnold came BACK to Hollywood and even tried a couple of low-budget art films including Maggie and Aftermath. While half of his post Governor films didn’t have the same magic as his earlier releases, most fans (and not critics) can agree that Escape Plan, a couple Expendables films and Terminator Genisys were all wildly entertaining. 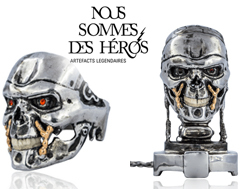 Genisys was a worldwide hit and made over 440 million dollars, making it the second-highest grossing Terminator film. Everyone enjoys a good on-screen movie kill and Schwarzenegger, the action hero champion, has the world’s record of 567 movie kills. Bodybuilding and fitness continues to rank high with the bodybuilding champion and he’s expanded the Arnold Classic empire by taking this bodybuilding expo to every continent. The After-School All-Stars, spawned from the Inner-City Games, benefits greatly from Arnold’s love and support. Each year Arnold helps raise millions in charity campaigns to this organization which provides comprehensive after-school programs that keep children safe and help them succeed in school and life. Schwarzenegger is also equally as busy with climate change concerns and gerrymandering issues. While he’s being very serious with politicians, Arnold also makes time to have a lot of fun with his fans on social media. ArnoldSchnitzel is “The king of Social Media” with his “Look at this” comments on Snapchat, live Facebook Q&A gym sessions, Twitter political-jabs and Reddit surprise infiltrations - popping into unsuspecting comment threads. Thank you for the laughs, Arnold! Your past is legendary and your future is bright. I love all you do for the sport of bodybuilding and fitness. I can’t wait to hear of the next expansion of The Arnold Classic and your upcoming new supplement line of products. Please keep at those action movies…especially The Legend of Conan! I’m really excited for Killing Gunther, T2 in 3D, Wonders of the Sea, that Jackie Chan team-up film, Journey to China and the next Terminator film produced by Cameron. For someone with Austrian roots, your support for our troops is fantastic and you’re one of the most patriotic Americans I know. Keep up the good fight on After-School All-Stars awareness, climate change concerns and terminating Gerrymandering low foreheads. Crush those enemies! Happy 70th Birthday, Arnold! I hope you have a fantastic day - fitting of someone as Numero Uno as yourself.